Taken at Dinosaur park in Alberta. 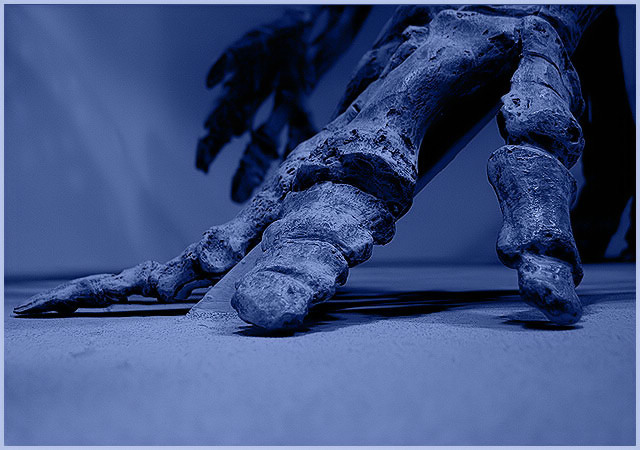 Macro of the dinosaur bones. I really like this picture, but I can't help but wonder how blue it was before filtration / post-processing. This is a nice sharp, clean photo. The nice blue shade really makes it feel like it's taken at midnight with a blue moon shining. It could be just a hue-shifted daylight photo though... but either way, it's well done. nice emotion created with the color theme. Proudly hosted by Sargasso Networks. Current Server Time: 04/23/2019 08:40:09 PM EDT.